While mice are portrayed as characters in many popular cartoons and movies, they are not as welcome in our house as on the big screen. Mice belong to the family Rodentia which houses many other animals such as rats, squirrels and hamsters. Among all rodents, mice and rats cause the most problems to the urban environment, thus making them an important urban pest. The most common species of rodent pests found in the urban environment are the house mouse (Mus musculus), roof rat (Rattus rattus) and Norway rat (Rattus norvegicus). The house mouse can be distinguished from the other two species through several characteristics. They are small (5 to 7 inches long) and are usually light brownish to grey in colour. Mice possess relatively large ears and small black eyes. They are relatively smaller in size when compared to rats. These small critters need to be taken seriously, not only due to being a nuisance and or their ability to transmit diseases such as leptospirosis, but also because they can cause structural damages to buildings. There are several things that you can do to keep them away from your house. Droppings, gnaw marks and tracks are the most obvious indications of a mouse infestations. The droppings are small, usually less than 6.4mm. Similar to other rodents, mice practice gnawing behaviour to file down their teeth. They tend to chew on wooden structures and wires and this can cause serious structural damages as well as fire hazards. We should always keep the doors of our house closed to prevent unwanted guests from entering. Windows should be shut whenever there is no one home so that you will not come back home to find “new tenants” in your house. Mice are agile climbers so they will have little problem climbing up the windows and making their way into your house. Mice are so small and their bodies are so flexible that they are able to squeeze through openings that are as small as ¼ inches across. Besides closing all the doors and windows, other possible entry points should be sealed up to prevent them from entering the house. The possible entry points may be gaps around pipe work, holes on the roof or even the gap between doors and floor. All openings that may serve as entry points for mice should be sealed with materials that cannot be gnawed down by mice, for example cement and wire mesh that is smaller than ¼ inches to deny their access. A mouse will feed on whatever humans eat. By leaving your food uncovered, you are making your house vulnerable to the infestation of various pests such as mice, ants, flies and cockroaches. Make sure your food is properly stored to prevent not only pests but also germs. Mice are not as picky as we are when it comes to food. They will be attracted to, and happily feed on, the food wastes we leave behind. Proper disposal of food wastes is important as it will make your house less favourable to them due to the lack of food sources. Always practice good waste management to keep the rubbish chute and bins in your house free of mice as these are the popular locations for mice to forage for food. A house mouse nests in sheltered locations and construct their nests using shredded paper and other fibrous materials. If you recall the scenes from cartoons, the “house” of a mouse is always a hole or opening located at the bottom of a wooden wall. A mouse hole is one of the places where mice can be found because they are able to gnaw through wooden walls to construct their nests inside the hollow spaces behind the walls. By clearing all rubbish and sealing all holes or cracks around your house, you can prevent sharing your house with these sneaky critters. 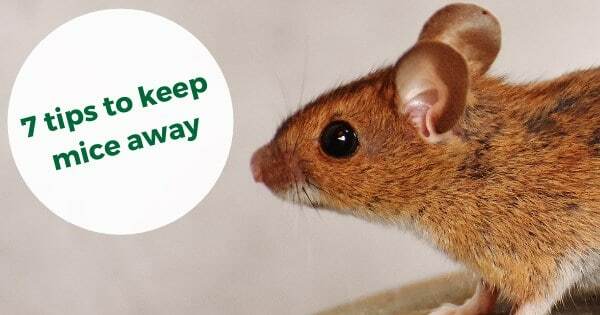 If your house is already infested with mice, traps can be deployed to remove them from your house. Some of the traps that can be used include snap traps, glue traps, cages and electrocution traps. Placement of traps is crucial to the success of the traps. Traps should be placed behind objects, in dark corners and at edges near walls because mice tend to move about touching the wall. Furthermore, attractants can be placed to increase the success rate of your traps. In order to keep mice away from us, it is important to stay vigilant and be mindful towards the surrounding environment. Early detection of activities facilitates the prevention of infestation and management of their population. Poor sanitation is always the cause of infestation so by practicing good sanitation practices, we will be able to keep mice away from us. Predators – Pests can be difficult to deal with and sometimes people decide to fight fire with fire. 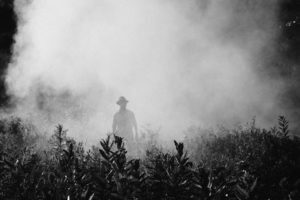 Instead of relying on chemical repellents, humans have decided to return to a natural method: They introduce a predator into an environment in which it will eat pests. Sometimes, this action works out great. In the majority of cases, however, the introduction of a foreign animal creates an invasive species. These creatures are animals who have entered a new environment where they themselves lack natural predators or weaknesses to help keep their population in check. Below are some of the best known examples of this form of pest control as well as the outcome of each decision. There is evidence that animals like cats have lived alongside humans for almost 10,000 years. Cats are an excellent form of pest control because they eat nuisances like rats and mice. In medieval times, it was popular for cats to be used as mousers or to live in barns and granaries to stop pests from feasting on the local food supplies. During the Age of Discovery, felines were taken along on voyages and kept as shipcats to stop stowaway rodents from eating all of the supplies. Other domesticated rodent killers were dogs and weasels. Many breeds of canine were trained to hunt mice, rats, groundhogs, and other creatures that could dig up gardens and crops. This subset of dogs are frequently known as terriers, although they are not used as regularly in modern times. Weasels are an older form of pest control which dates back to Ancient Europe, Rome, and Greece. Weasels were trained and kept around households as another form of rodent removal. 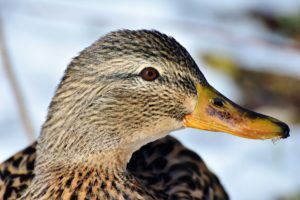 Ducks are found around the world but haven’t been used as a form of pest control until recently. In South Africa, some farms and vineyards have trained Indian Runner Ducks to parade from their rooms each morning and enter the fields. The ducks spend all day eating insects, snails, and slugs that grow on the vines. These bugs feed on the leaves of the plants as well as the edible crops, posing a considerable problem for farmers. The ducks stop these pests while allowing the crops to grow. Alongside the ducks are other trained waterfowl, including geese. 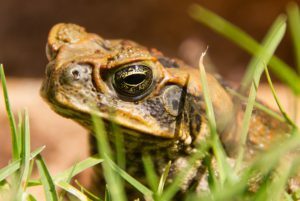 The saga of the cane toads is perhaps the most well-known example of a predator used to fight pests. In the early 20th century, Australia was known for its sugar production and many farmers and scientists wanted to combat cane beetles, which were destroying crops. The Bureau of Sugar Experiment Stations brought over cane toads from Hawaii and released over 100 of them in the wild. The toads reproduced rapidly and now number over 200 million across the continent. Unfortunately, the toads were not interested in the beetles and started to eat other native species instead. Because the cane toad naturally produces a toxin to defend against enemies, it has also started to kill other animals who try to ingest it. The situation with the cane toads constitutes an ecological emergency. Today, scientists have tried to come up with new pest control methods to control the invasive species. Some want to release sterile males in the environment to compete for resources, while others want to use a gene to change the females so they only produce males, limiting the population. Another method is releasing a virus which the toads are susceptible to, but this can harm native species. This failed example of predators as pest control demonstrates some of the drawbacks of this method. No industry would be complete without legal repercussions. In pest control, lawsuits come in different varieties. Pest management companies can be sued for using the wrong pesticides and chemicals. Hotels, motels, and hostels can face reputation issues if they fail to keep a pest-free environment. 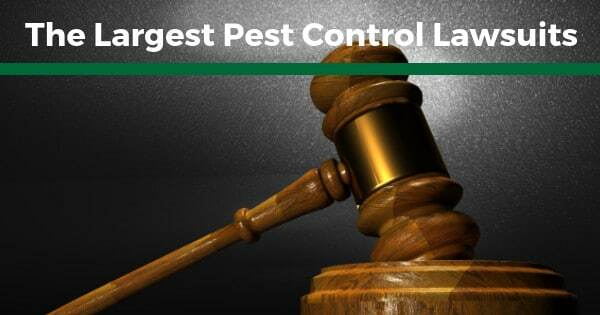 Considering the potential issues insects, rodents, and other nuisance animals can create, it should be no surprise that the associated lawsuits can result in payouts in the millions. The United States features a thriving pest control industry worth billions of dollars each year. One of the largest pest management companies is Orkin, which specializes in residential exterminations. Recently, one of its employees by the name of Robert Still filed a whistleblower lawsuit. A whistleblower case is when a company insider brings to light ethical and legal problems within the business with evidence of obvious wrongdoing. He accused Orkin of forcing employees to disregard pest management safety protocol and spray termite pesticides on wet ground. In the United States, it is against federal, state, and local law to do so because of the potential danger and how it weakens the chemicals. After working for 19 years with the company, he reported the issue to his supervisor. The supervisor told him to ignore the violation. Shortly afterwards, he was suspended from his job and then fired. Still discovered that unlicensed employees were being asked to perform similar dangerous violations. He exposed his former employers after his termination for all of these actions. What resulted was the largest whistleblower verdict in the state of New Jersey. The jury awarded Stills $5 million and Orkin faced penalties for its mismanagement of resources and endangerment. Bed bugs are considered the most numerous pest in the world and have seen a rise in population over the last decade. With their increasing numbers, more and more businesses have found it difficult to curb their presence in hotels and areas to rest. In the United States and many other nations, it’s considered negligent for people in the hospitality industry to subject their customers to bed bugs. People who have been bitten while staying the night have been able to bring lawsuits against the companies for damages and emotional distress from the bites. It has gotten to the point where many lawyers and law firms specialize in bed bug cases. As of 2018, businesses have been forced to pay over $2 million to customers who were bugged by bed bugs. Geese are terrifying. Geese during mating season are even worse. Perhaps the strangest type of pest control lawsuit occurs when these waterfowl come into town and start building their nests. One of the most aggressive birds is the Canadian Goose, which travels and lives throughout North America. 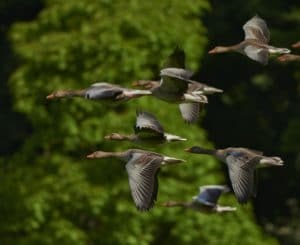 In many locations throughout Canada and the United States, properties can be and are frequently sued for failing to manage aggressive nesting geese. When they think their nests and goslings are being threatened, geese attack. Most of these attacks don’t result in injuries, but the ones that do can be serious. Many companies and properties have been forced to pay millions of dollars as compensation. Do-it-yourself or DIY pest control is becoming more popular. Pest control is the processing of managing nuisance bugs and animals that can spread disease, damage food, and overall be irritating for life. Sometimes people don’t want to contact a professional company for a minor problem. At other times, property owners might be interested in saving money by taking care of issues themselves. Whatever the reason might be, DIY pest control is rapidly becoming safer and easier for regular people. Before using any method, it’s important to assess all of the potential risks involved in any treatment. Individuals should educate themselves about the chemicals used in products they purchase and any hazards associated with traps. People should remember to read all of the ingredients and follow directions precisely. DIY pest control can be an easy process once the property owners who would like to try it research and know what they’re doing. Additionally, not all of the methods are dangerous. Some are common things that everyone can do to ensure they live in a pest free environment. Below are some of the simplest and most efficient DIY pest control treatments. 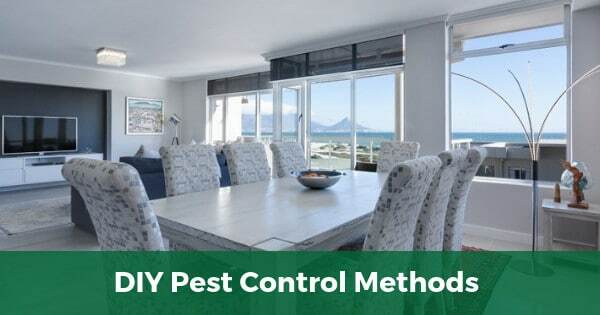 One of the easiest DIY pest control methods is to keep a property clean. The majority of insects and rodents are attracted to homes and businesses because they provide valuable resources. Sealing food containers, cleaning up spills, and closing any cracks in the walls or around doors and windows can help keep pests out. Cleanliness is a significant part of Integrated Pest Management (IPM), a method in the pest control industry which relies on a variety of factors to keep nuisance creatures in check. 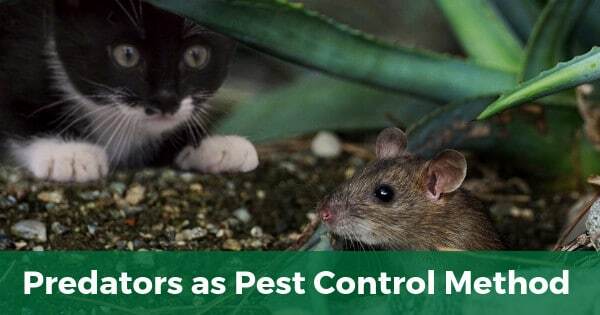 Before concoctions like pesticides or devices like traps are needed, pest management professionals will strive to develop plans to prevent infestations. One of the most significant steps is keeping an area clean and limiting a pest’s access to resources. Many pests like ants, rodents, and cockroaches are attracted to damp environments. They flock to basements, kitchens which are not properly cared for, bathrooms, and other locations. One way property owners can stop an infestation before it begins is to ensure every area in a building is properly ventilated. Some methods of doing so are to open windows with screens and allow natural air inside, use dehumidifiers, and improve the structure’s overall ventilation system. Hard to reach areas such as basements should regularly have their humidity levels checked and people should never leave standing water inside of a property for long. This includes areas in and around sinks and bathrooms. The most ubiquitous form of DIY pest control is the use of pesticides and mechanical traps. Increased research into the inherent risks of the chemicals used in pesticides has allowed scientists to engineer versions which are safer for at home use. Many can be purchased at general and hardware stores. They contain ingredients like pyrethrins and permethrin, which kills pests like bed bugs, mosquitoes, and ants. It’s important to remember that these materials are also hazardous to humans and pets and should be sprayed away from other living creatures. Traps can also be bought and come in many varieties. Rodent traps are the most well-known and include the traditional plastic and wooden varieties with a snapping metal wire that people are used to. Some other options include humane boxes which will lock a rat or mouse inside, so it can be released later. Finally, there are glue traps. Glue traps used against rodents are considered inhumane, but people can also recognize them as flypaper. Both traps and pesticides can be used to great effect without requiring a property owner to call a professional pest control company. Not even famous places are safe from pests. Sometimes creatures typically considered a nuisance are invited into the space. More often than not, though, pests invite themselves. 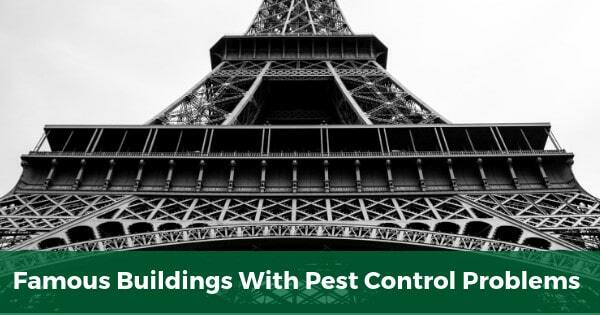 Recent developments in environments across the globe make the areas where famous buildings are located more attractive to pests by providing resources and shelter. Climate change is a large culprit because some regions have become warmer and more humid, providing ideal conditions for invasive insects. Below are some of the most famous buildings around the world and their struggles with pests. The prospect of 25,000 rats in a building is not an appetizing concept to many people, but that is the situation with the Karni Mata Temple in India. The temple was inspired by the story of Karni Mata, a man who was resurrected as a rat after drowning in a pool of water. People come from all across the country to feed and interact with the rats. The few white rats who live on the property are considered exceptionally holy and lucky, and encountering one is thought to be a blessing. The Karni Mata Temple is located in Deshnoke and hasn’t seen a decline in visitors since its creation, even during disease outbreaks. Indeed, many people visit the location to be healed of their ailments. The primary inhabitants are black rats, which are common throughout the world. These rodents are not to be harmed by visitors or locals, and are given everything they need to survive and thrive in their environment. Unlike the Karni Mata Temple, there are many famous buildings where rats aren’t invited guests. The White House in the United States and the Eiffel Tower in France are two popular tourist destinations, significant cultural monuments, and two areas plagued by infestations of rats. The White House is the presidential home for the U.S. and has recently filed hundreds of pest control requests to deal with a growing population of insects and rodents which have found their way into the stately manor. Rats have been sighted in the kitchen, outside of politicians’ and officials’ offices, and even in the infamous Situation Room. Meanwhile, the Eiffel Tower has been forced to close several times over the last two years as the city of Paris struggles to manage a growing rodent threat. Paris is a massive city which has struggled with rats for many centuries. Due to the large population and the number of tourists who visit each year, the environment features all of the conditions rats need to thrive. The Eiffel Tower is a popular destination for rodents because people leave behind food and drinks while the buildings and sewer system in the surrounding area provide adequate shelter. The government has increased the number of pest management services available, but results have been limited. Scientists have noticed the effects of climate change for several decades, including its effects on local pest populations. As certain regions across the globe develop warmer, more humid climates, certain species are able to thrive. In Korea, a shift in the standard temperature and humidity has resulted in the spread of termites. Termites only lived in a few areas of the peninsula, but they have now spread to almost every location. These pests create problems for numerous buildings, including ancient Korean temples constructed of wood. Professionals discovered termite populations in several significant cultural locations like the Gyeongju Hyanggo. This temple is listed as one of South Korea’s cultural heritage sites and faces severe consequences if termite populations continue to grow. Because many of the old temples are constructed entirely out of wood, termites can weaken the structure and possibly cause collapse. Pest control operatives trained dogs to recognize insect hormones and have been using them to regularly check the region for termites and other wood-dwelling insects. The Cultural Heritage Administration of Korea recognizes the termite problem and has dedicated increased time and resources to trying to preserve temples. You always want to make sure that your business is putting its best foot forward when it comes to the services you offer or the products you make. 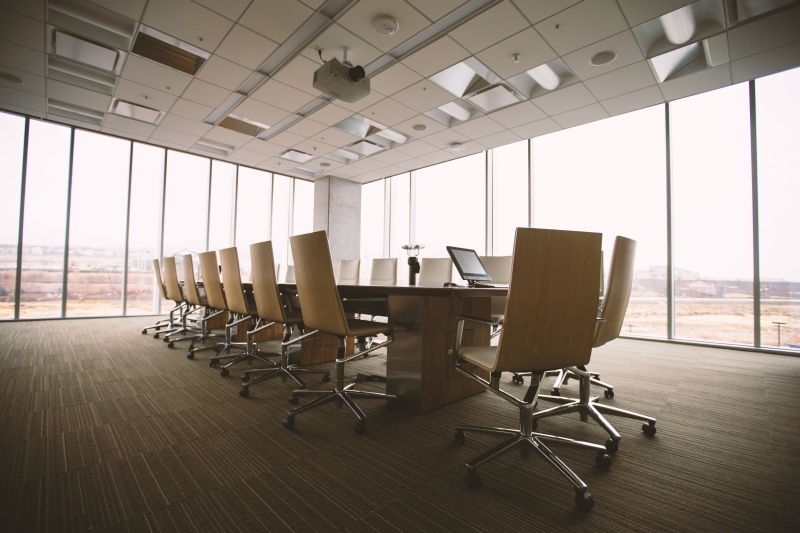 You want employees to be in a safe and clean environment, and you want any clients or customers that come to the property to be impressed with what you offer, rather than disgusted by the fact that you have a pest infestation. Recently, in the Singapore media there have been a number of cases of rodents running around shopping malls and rodent burrows found outside of commercial buildings. Such incidences can ruin reputations and bring about business downfalls. 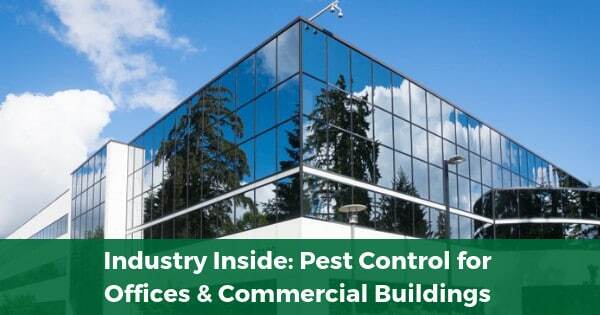 Why Is Pest Control Important in Offices and Commercial Buildings? You need to maintain a clean environment for your workspace. 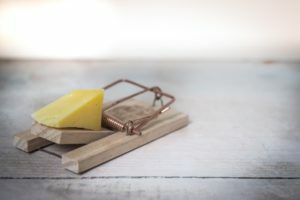 Having pests looks bad to your customers and clients, and you can be sure that your employees will not want to work in a location that is overrun with pests. It is unhealthy, and it has the potential to be dangerous. Whether it is flies, roaches, rats, or other types of pests, you need to take steps to have the problem handled as quickly and efficiently as you can. If you don’t, it can take a serious toll on your business. By law, all government buildings in Singapore need to have regular pest control. This should also be practiced in all offices and commercial spaces. Proper pest control, and help from the professionals when needed, can ensure you have a clean and pest free environment. 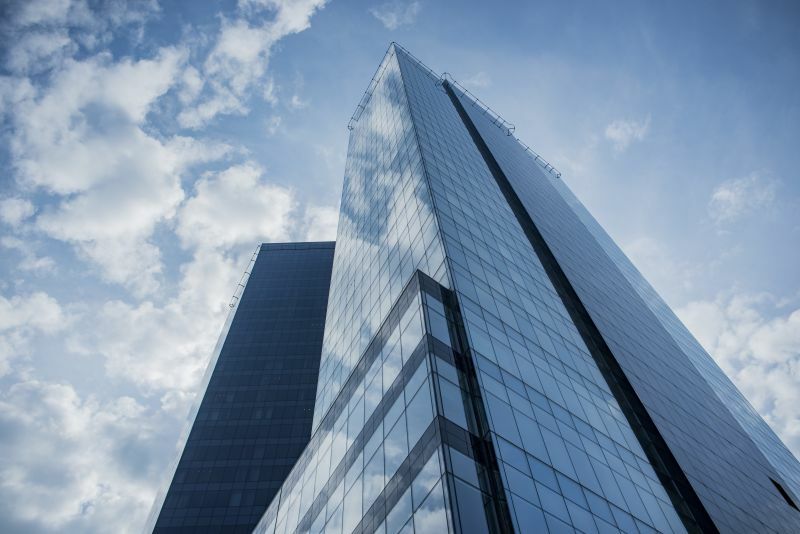 Even though you might not realise it, there are plenty of reasons for pests to want to come into your office building. Sometimes, the employees might leave snacks on their desk that can draw the pests. There could be items in the pantry, the garbage cans, and other areas that will do the same. 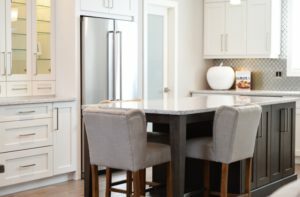 Proper housekeeping, which is simply making sure that there is no food left out and that everything is properly cleaned, can make a big difference. Employees should be aware that they need to clean up their desks and areas where they eat, and that they should all make sure the pantry is clean and that any drink spills or food crumbs are promptly cleaned. In addition, a proper housekeeping staff that comes in and cleans, and that takes out the trash, can help to keep the pests under control. If you are lax in this, it is only a matter of time before the pests start to take root. Pests can spread disease, and in the case of rodents, they can even cause damaging to the wiring in the building, and the wires to computers and other office equipment. You should always make sure you have a good pest control company that can come and examine your property and provide you with the extermination services that you need to have a clean and healthy environment. They can also provide exclusion services that will help to keep the pests from returning. The pest control industry has seen many developments in eradicating pests that carry deadly diseases and preventing further infestations. In Singapore, maintaining high standards of sanitation is important as this stops the spread of diseases and ensures that the health of its citizens is protected. 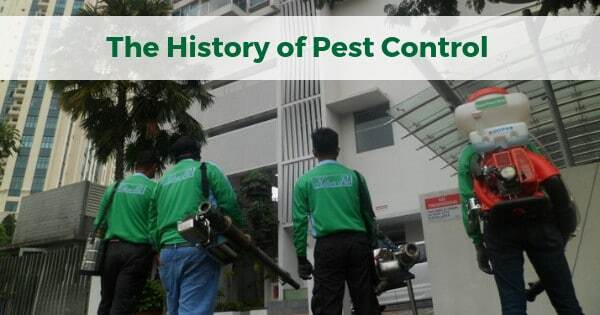 The Singapore government is also uncompromising when the people’s health and safety are in question, making sure to educate the public with steps on preventing pest infestations and enforcing rules and regulations on individuals and business entities. The importance is not lost on the people living in Singapore butsome may have taken extreme measures just to be sure. What follows is a series of events that have unfolded in the careers of Killem’s Pest Control Officers (PCOs) to be out of the ordinary, some even strange. 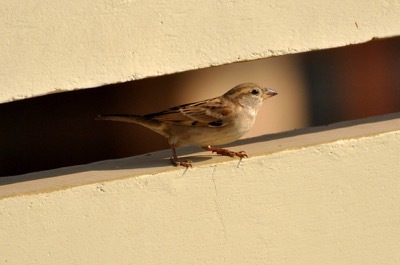 In Singapore, common bird species such as the Sparrow and Mynah are less of a nuisance than rodents or cockroaches; nevertheless they may still be a pest and nuisance as they can feedon human food and their droppings are toxic. They can be found near food and beverage (F&B) establishments, especially open-air restaurants and hawker centres. When they do cause a problem however, it is best to call a professional. One such call was attended by Killem and it was rightfully dealt with. The pest in question was a sparrow that had made a well-known fast food establishment its home for almost a year. Before Killem got involved, many methods were used to get the sparrow away from the premises. None of the methods proved to be successful. 50 glue boards and bird repellent had been placed by the previous pest control company, in the hopes of capturing the sparrow, but to no avail. Killem’s PCOs had accessed the situation quickly and structured a solution based on previous experiences. Target pest specific pesticides were placed to capture the sparrow alive. In less than a month, the sparrow had been caught alive and the establishment free of potential hazards brought about by the sparrow. What still remains a question though is how the sparrow had escaped the countless glue boards with baits and the other PCO’s for a year. Not everyone is fond of insects and other creatures that are considered as pests. 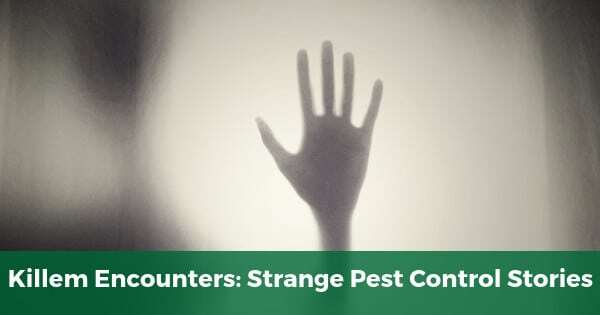 In extreme cases, where people develop a fear of these pests or even subconsciously have an aversion to them, many avoid leaving their house or even believe that they constantly have pests crawling on them. Refer to our previous blog post on Entomophobia and Bed Bugs PTSD for more information on such conditions. Understanding the needs and dilemmas of a client is as or even more important than the solution itself. Pests are dealt with by using equipment and pesticides based on past experience and knowledge. Clients, however, are a completely different case and one such client had given the PCOs at Killem a unique experience as well. An eye opening experience it was when one of Killem’s PCOs attended to a pest control service call engaged by an expatriate from South America who had just moved to Singapore. She had mentioned during her initial call to Killem that in her new home, she had already seen many cockroaches running around the house. When the PCOs arrived at the site, they were greeted at the premises with one dead American cockroach. Upon further investigation, they were unable to find any other cockroaches but carried out a precautionary treatment. The client later mentioned that though the PCO was unable to find more cockroaches, she constantly felt as though giant cockroaches were chasing her with the intention of eating her alive. The client painted a very vivid picture to the PCO, one they claim they are still unable to forget. Our clients’ well being is of utmost concern so our PCO reassured the client that there were no other cockroaches to be found and she could safely set aside her fears. They also made sure to ask if she knew someone in Singapore so that she had someone to talk to and if she had any further pest concerns, Killem would always try its best to address and deal with them. Pest infestations have known to cause mental health issues, from paranoia to depression. It is best to treat such cases with as much importance as with a case of actual pest infestation. Most people know that bed bugs are notorious in causing very itchy bites. They prey on human blood and leave red bite marks on those sleeping on infested mattresses. For bed bugs to survive and reach maturity, they require a blood source. For more information on bed bugs, check out our bed bugs page and previous blog interviewing Dr How Yee Fatt who provided us with insights on bed bugs. So is it possible for someone to sleep on an infested bed and not get bitten? The PCOs at Killem once came across a client who claimed that he was never once bitten by the bed bugs that infested his mattress. After taking one look at the said mattress, the PCOs thought otherwise. 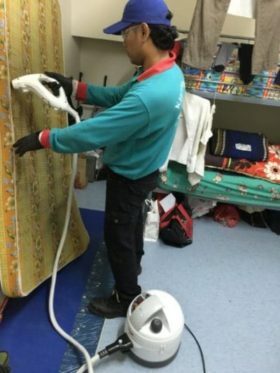 Killem were tasked to perform general pest control services and inspection of a dormitory unit for foreign workers. The unit housed a few hundred people of different nationalities living under one roof, each with their own bed. Upon inspection of one of the beds, a PCO had found, what he believed were more than a hundred bed bugs all over the mattress. The person sleeping on the mattress was surprisingly also shocked at the revelation. The PCO began to question the person who slept on the bed, asking how he was able to sleep without being interrupted with bites or itches. The person simply replied that he was never once bitten by the bed bugs. 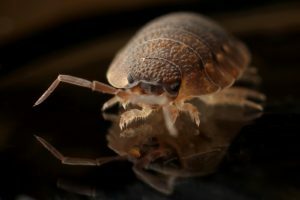 This brought about some discussions among the roommates and our PCOs as to how someone can be unbitten and oblivious to bed bugs of that quantity. After further research undertaken by Killem, it turns out that it is possible that someone shows no signs of bed bug bites. If the person bitten has no allergic reaction, it is still extremely unlikely that someone sharing a mattress with 100 other bed bugs is not bitten at all. Strange as it may seem or sound, pest problems should not be underestimated or mistaken to be a minor issue. They are best solved in the form of prevention methods even before they take form to be much more serious. At Killem, we take our PCOs, clients and what they have to say, seriously, even if they sound rather peculiar. 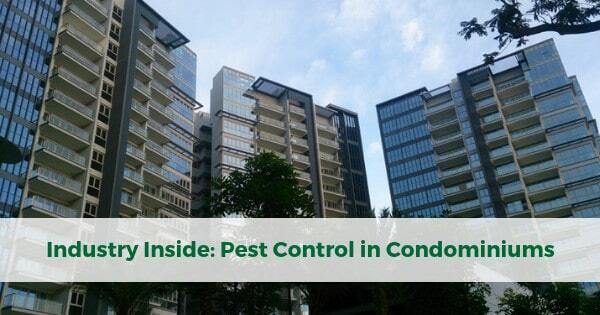 Many condominiums in Singapore have full facilities, which means there are many different places for pests to roost such as swimming pools, BBQ pits and function rooms. Swimming pools are attractive to pests because of the water and possible fungal growth. Midges are a common threat. A small bug that resembles a mosquito, midges lay their eggs in the water and live for a period of time in their aquatic habitat. 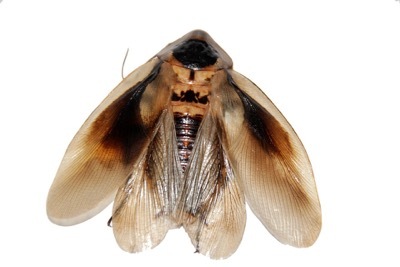 They often emerge in large swarms, and can be hard to detect until they start to fly. Chemicals should not be used to remove them as they are also poisonous to the people who would swim in the pool. Instead, condominiums should practice proper pool maintenance. A pool skimmer should be used to clean the top and remove any bugs or larvae. Chlorine should be added on a balanced schedule, and filters should be activated and cleaned regularly. Other parts in the condominiums where pests can manifest are the gym and BBQ pits. Gyms, already ripe with bacteria and damp from sweat, have lots of hiding places for pests, especially in locker rooms and under mats. BBQ pits, where people make food and eat, can attract pests as well. As with most places, proper sanitation and hygiene are crucial for keeping bugs and animals out. Residents should clean up any wrappers, crumbs, and leftovers they might have with them. Food should not be brought into the gymnasiums, and workers should clean the floors each night. Residents should keep their lockers clean. If ants are a problem, the employees should spray ant hills and dispose of the chemicals properly. However, if there is an infestation, it is recommended that professional pest control providers such as Killem pest should be called to prevent further infestation. As with gyms and BBQ pits, the same rules to Function Rooms. Residents and employees should make sure any food is covered and properly stored or disposed so pests are not attracted to it. Crevices and entryways into buildings should be properly sealed and sprayed if pests continue to find their way in. Residents, when going in public areas, should make sure their bags are clean and check for bugs if returning from a garden, long-grassed area, or woods. As with other places, if there are pipes through which water is transported, they should be checked for leaks and repaired as soon as possible. Finally, the owners of the condominium should make sure these public areas are cleaned frequently by experienced staff who will scrub the rooms. Condominiums are one of the most likely places to become infested because they are so populated. When people come into contact frequently, it is easier to spread communal pests. 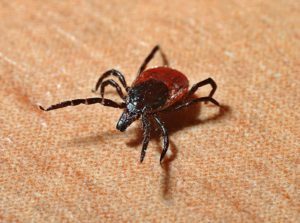 Disease spreads quickly, meaning pests should be removed as fast as possible. Due to the size of the buildings, there are lots of locations for them to live. Pest control providers such as Killem Pest should be engaged at least on a monthly basis to ensure that condominiums are kept pest free. For more information on how we can help visit our residential pest control page. 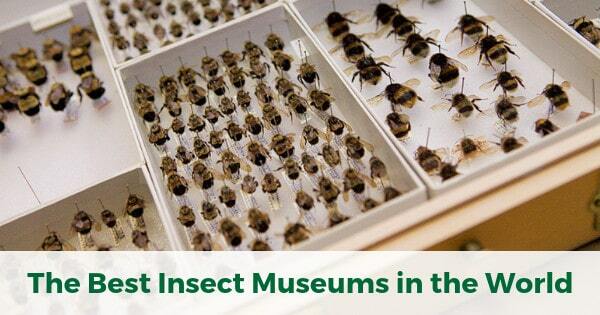 The best insect museums – Many people around the world are disgusted and repulsed by insects, but many others find them fascinating. Scientists and philanthropists established museums in different nations so people can learn about and understand them without having to interact with live specimens. Perhaps the most notable feature of each organization is their continued emphasis on education and research to continue to enhance the world’s understanding of insects, which outnumber humans 200,000,000 to 1. 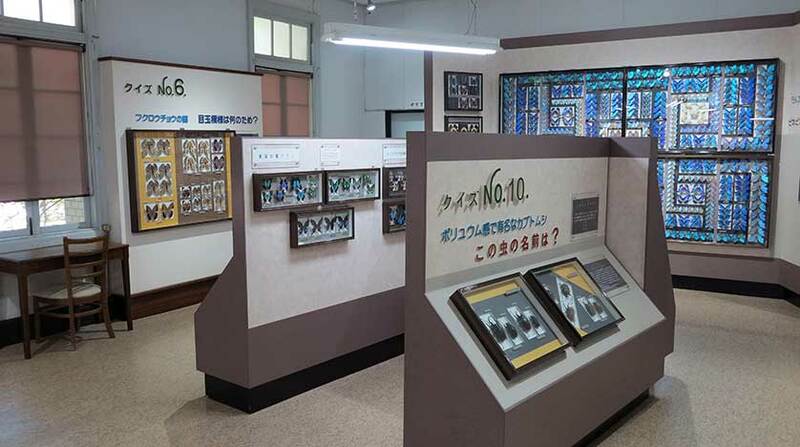 Yasushi Nawa established the Nawa Insect Research Center in 1896, and the organization eventually developed the Nawa Insect Museum so the general public could enjoy their collection. It is located in Gifu, Japan and features an extensive collection of over 300,000 specimens from 12,000 different species. Each exhibit of insects is organized by species and contains specimens from South America, Southeast Asia, Africa, and the Middle East. Each owner of the Insect Museum has been a member of the Nawa family, and continues to expand the collection using specimens from primarily hot climates. The majority of the insects are beetles and butterflies, with additional exhibits featuring termites, moths, hornets, dragonflies, and several arachnids. The Bohart Museum of Entomology is one of the largest insect collections in the United States and is located on the campus of the University of California in Davis. 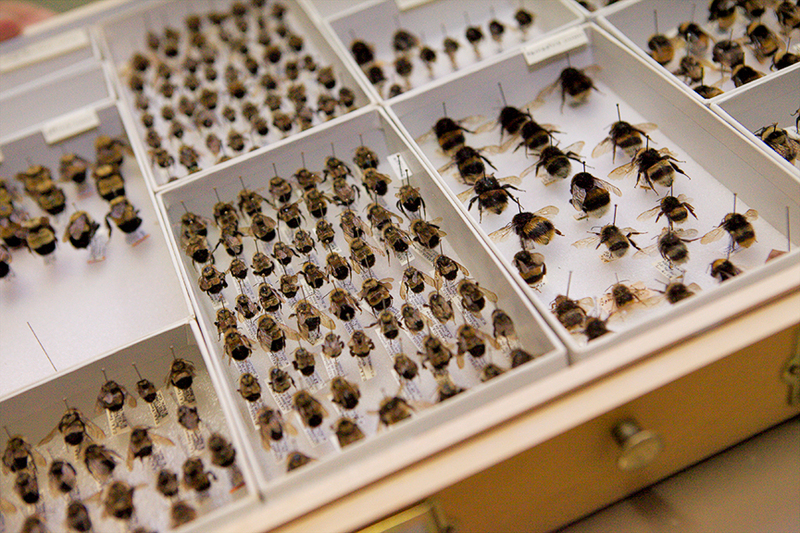 There are more than seven million specimens in the museum’s collection, and it is used as a public attraction and center for undergraduate and graduate research. Their specimens come from all over the world, and some of the most important collections available for viewing include: the world’s largest collection of tardigrade water bears; the Ferris-McKenzie scale insect collection; and the H. Tyler swallowtail butterflies. The museum curates travelling exhibits and also features children’s educational programs. The Insect Science Museum of the Zhongzheng District in Taipei, Taiwan is perhaps the only comprehensive insect collection to be located at a high school. It was constructed in 1968 and opened to the public in 1971. Like many other museums, education was a priority of its development and it continues to perform numerous services for the community. Teachers visit the Insect Science Museum to learn how to teach their students about insects and introduce the subject of entomology. 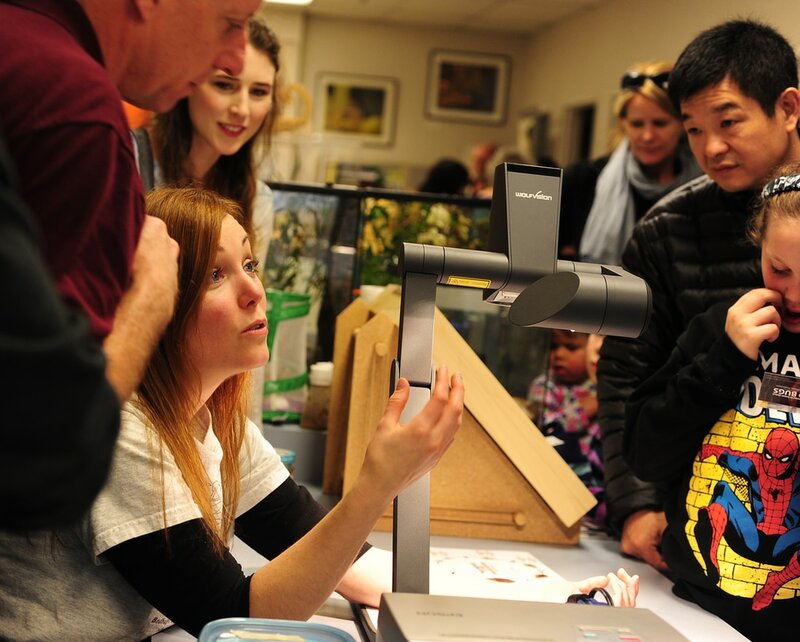 It also shows the public many slides and educational films to teach their audiences about special insects and their crucial function in various ecosystems. Finally, the museum sponsors competitions and academic research related to the insects, and continues to be a powerful feature in the academic community of Taiwan and the larger entomologic field. The Lyman Entomological Museum houses a collection of over 2.8 million insects and arthropods subdivided into multiple groups based on type. It is a natural history museum in Saint-Anne-de-Bellevue in Quebec. It is part of McGill University and is the largest university collection in Canada. Because Henry Lyman, the founder of the museum, was an avid lepidopterist, the museum hosts a fantastic butterfly collection with many exotic types. It also possesses over 250,000 specimens of beetle with a large collection of West African scarabs and other species. The general public can visit the museum, and it also fosters intense academic study due to being attached to a college. If you have a passion and interest in insects, you now know where to book your next holiday!